Southern Elegance at it's best! 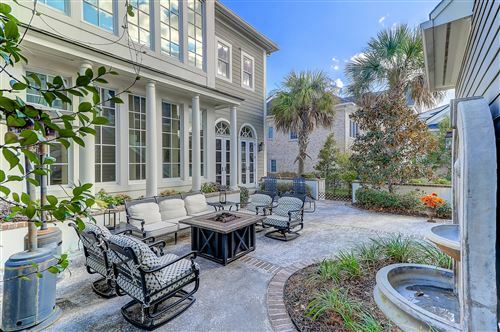 Custom home built by Max Crosby, featured in Charleston Style & Design Magazine Spring 2009 then again in Charleston Style & Design Magazine in 2010. 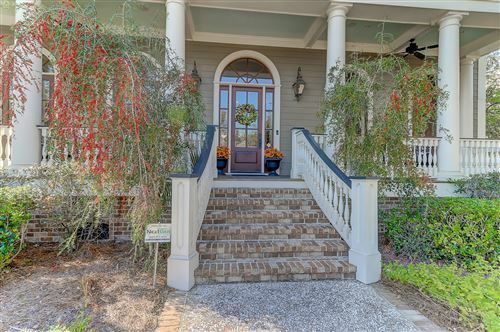 Featured in the Daniel Island Harvest Tour of Homes Fall in 2011. 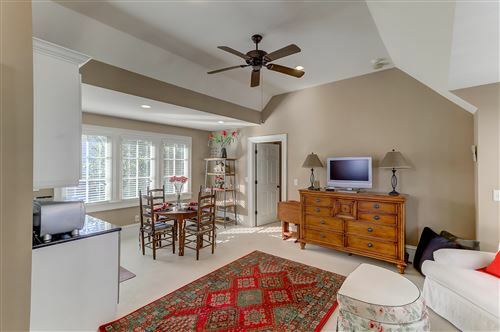 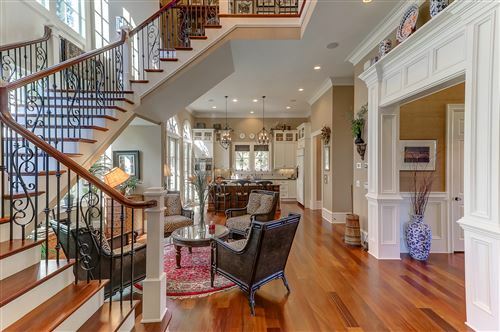 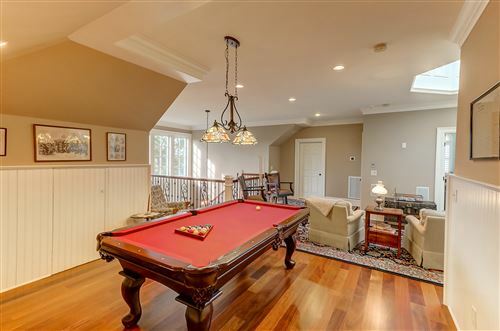 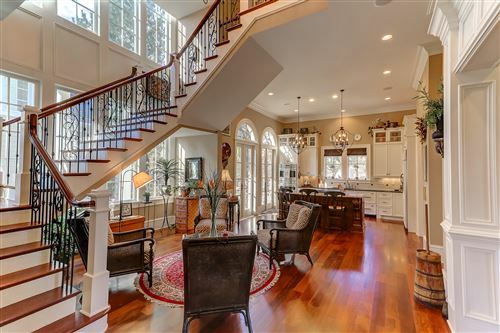 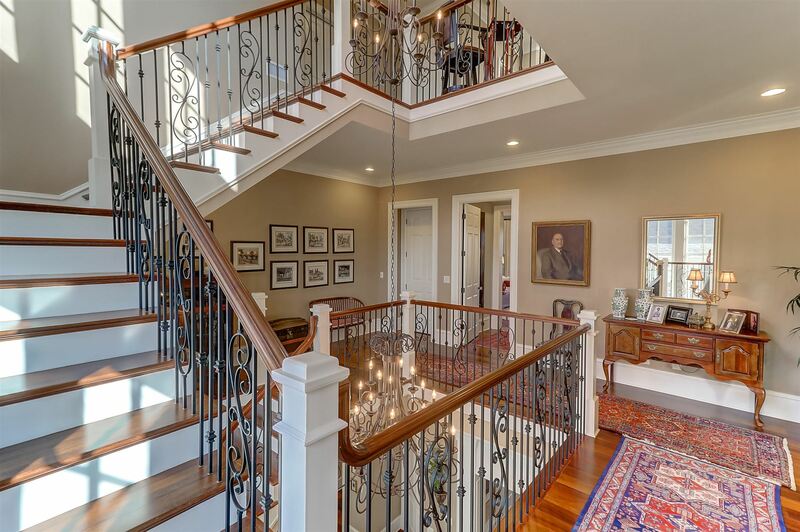 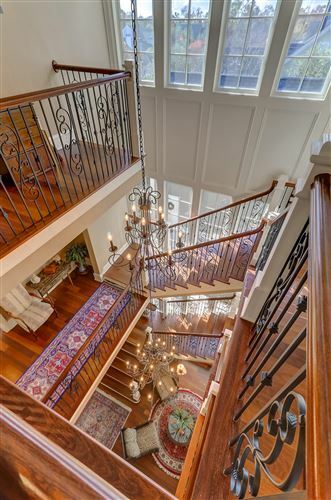 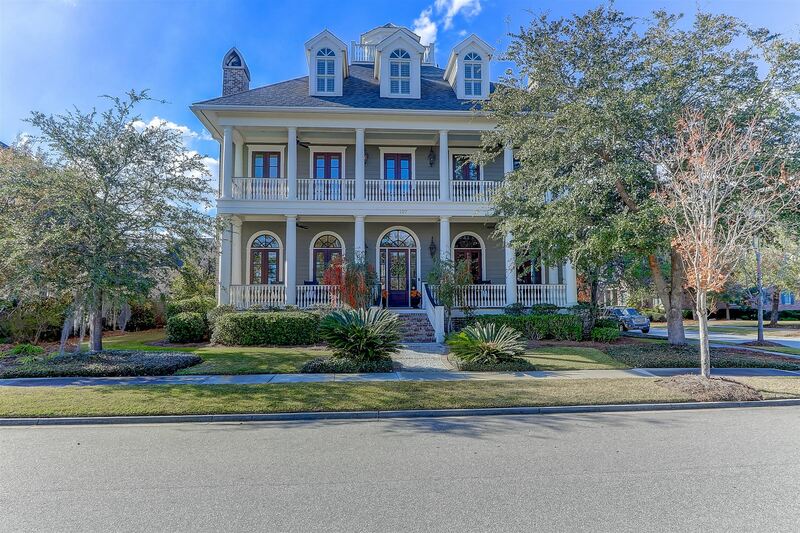 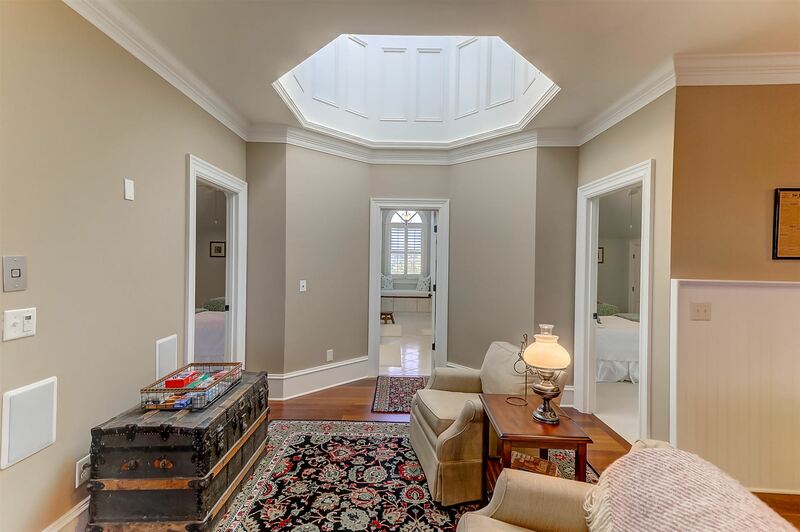 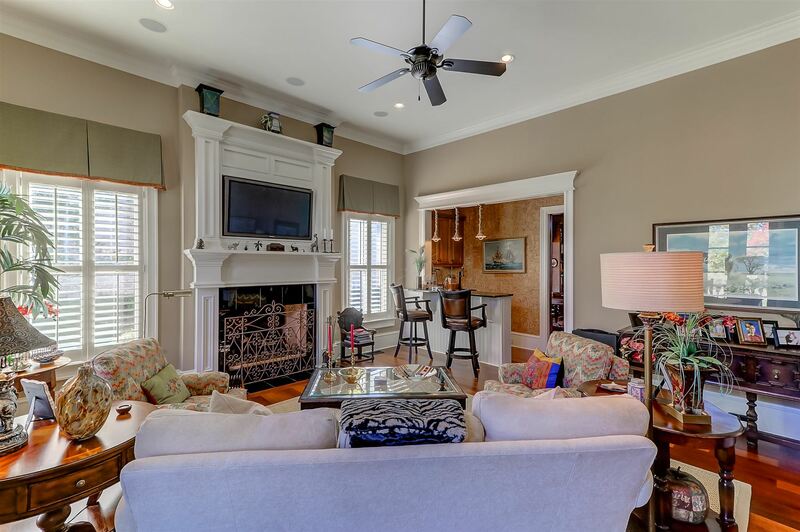 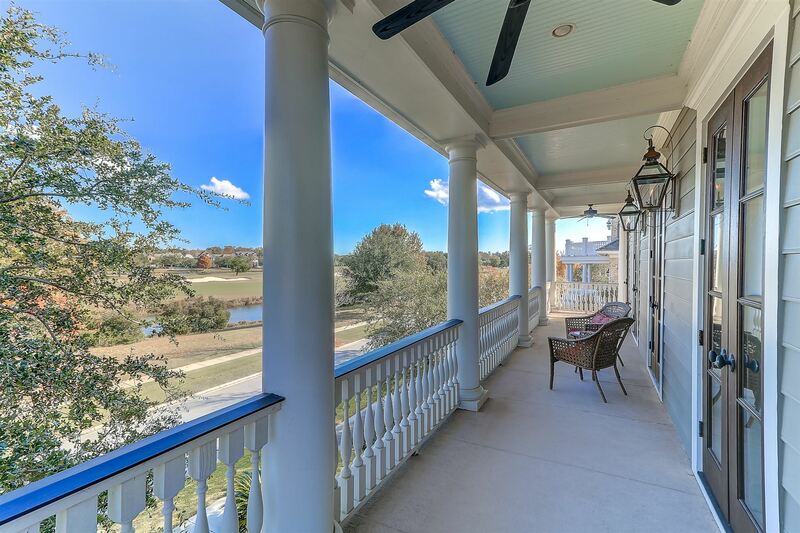 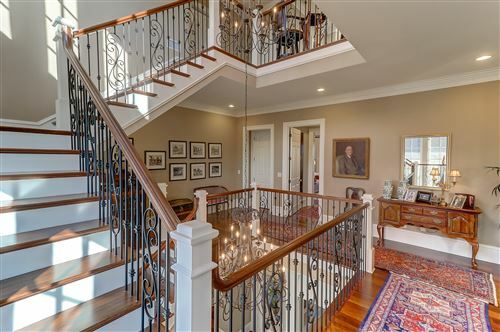 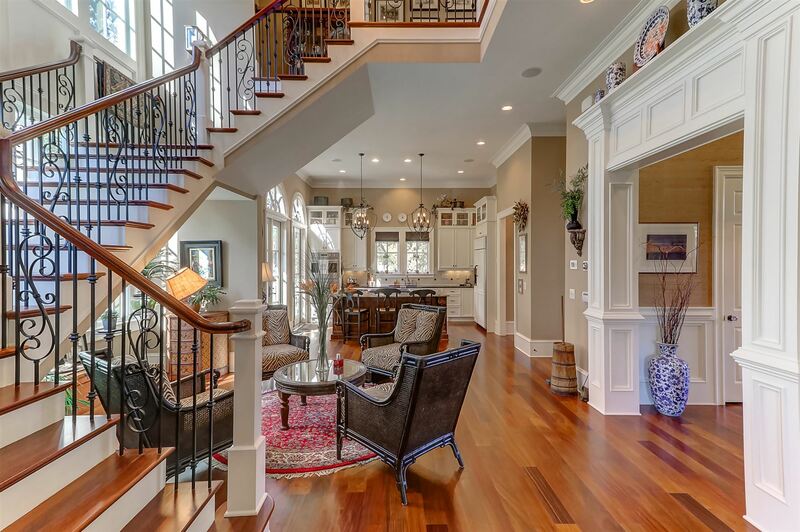 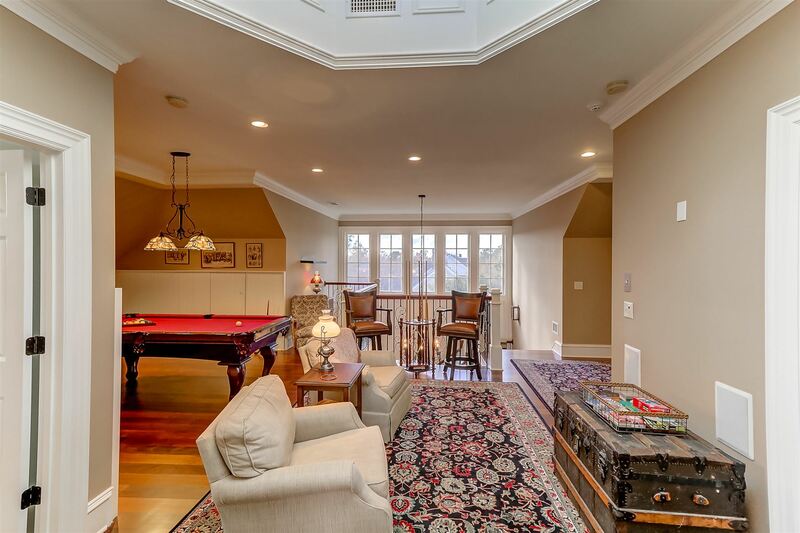 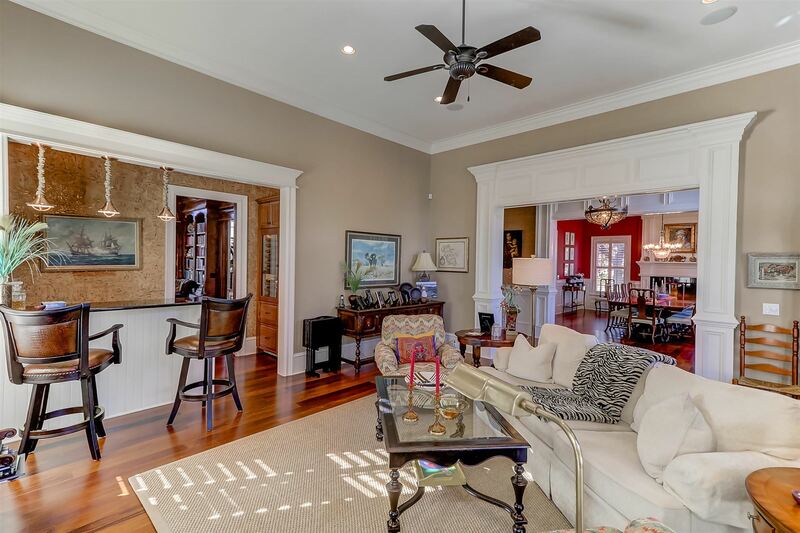 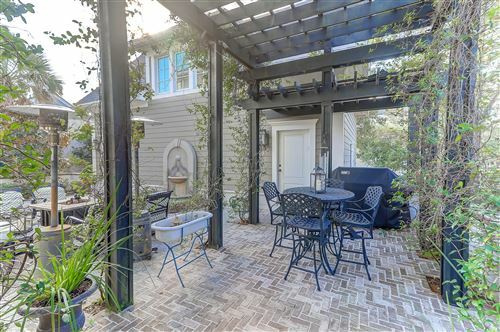 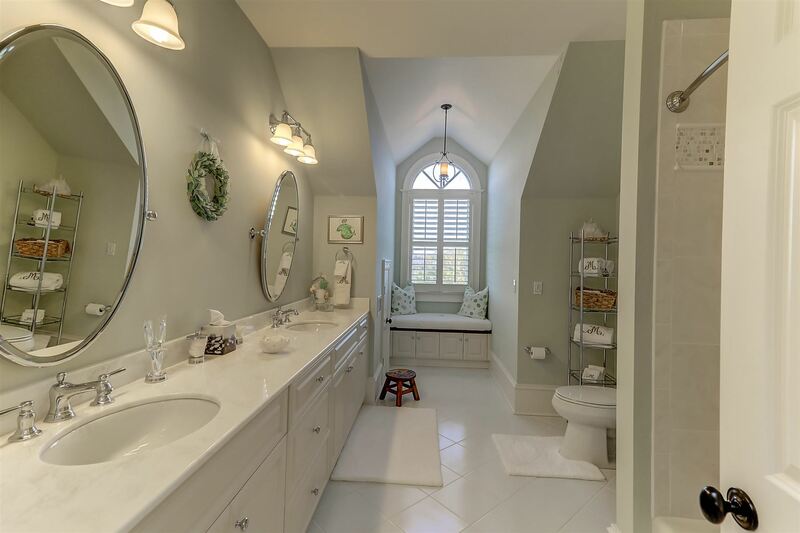 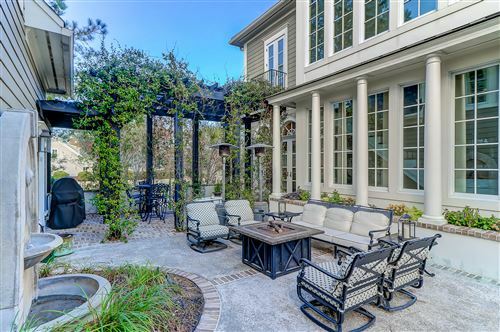 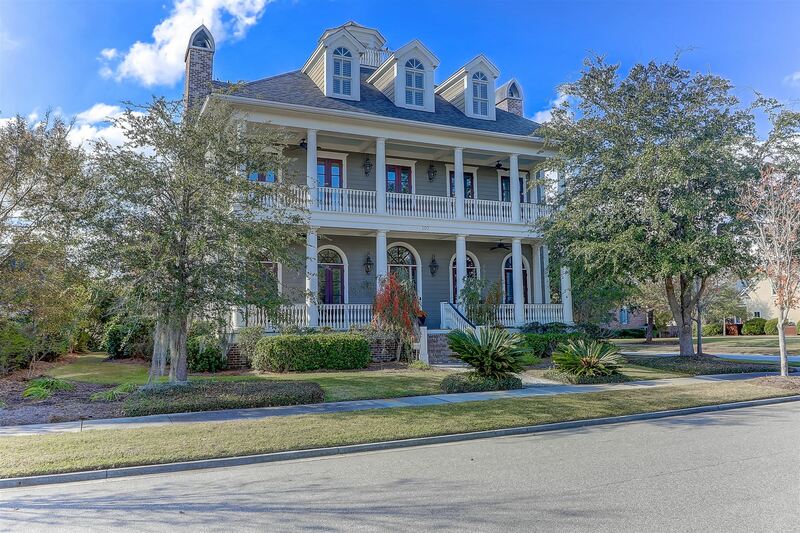 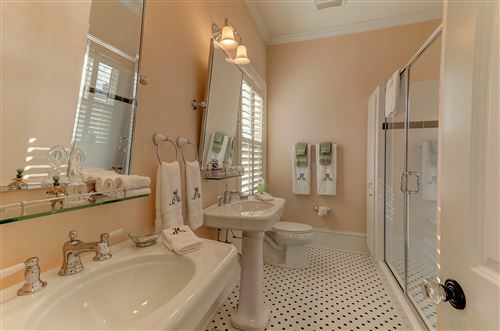 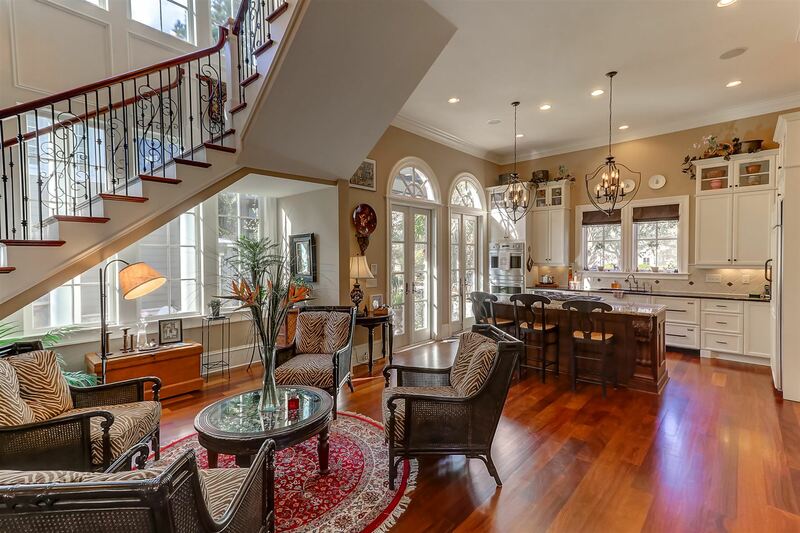 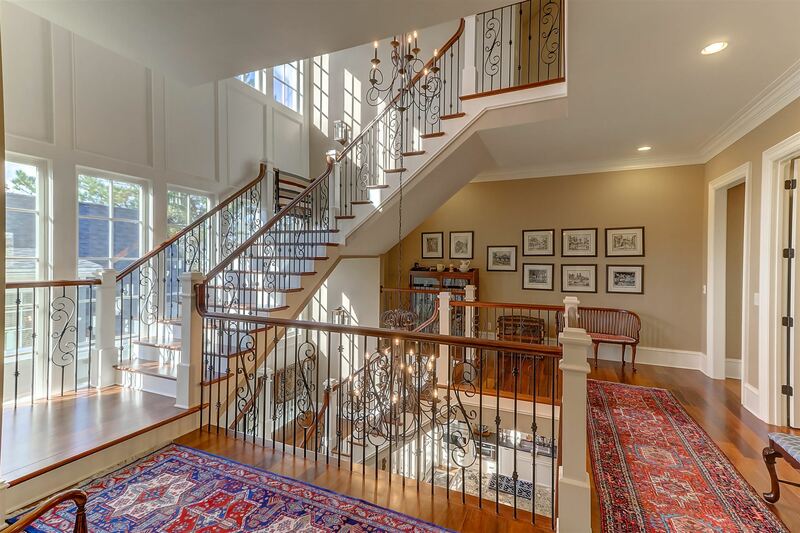 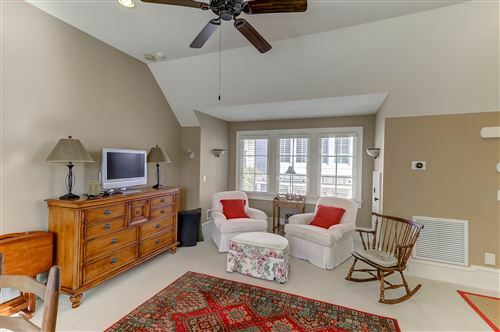 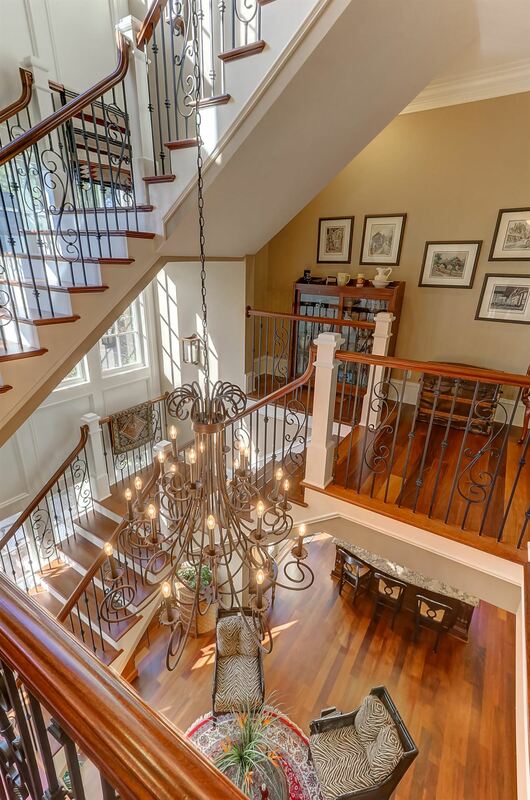 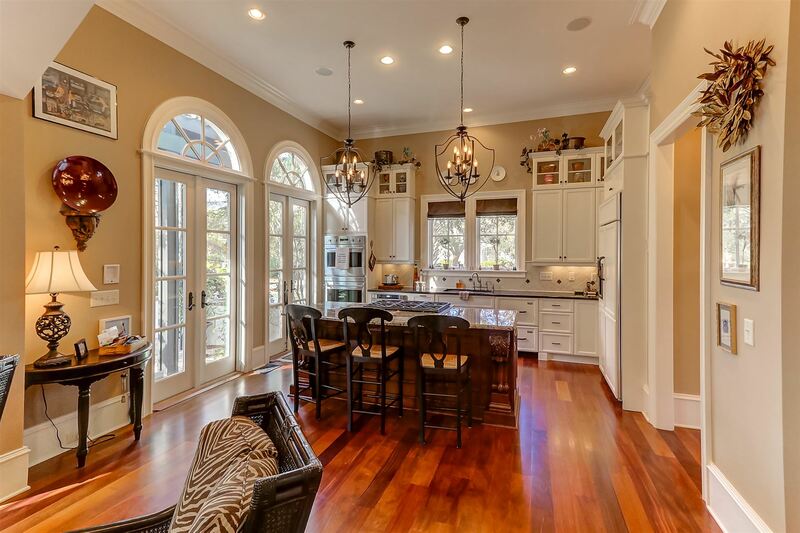 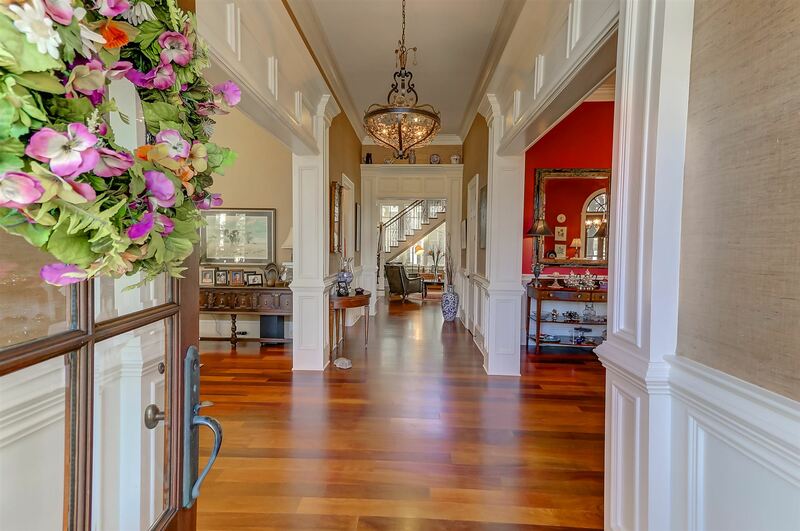 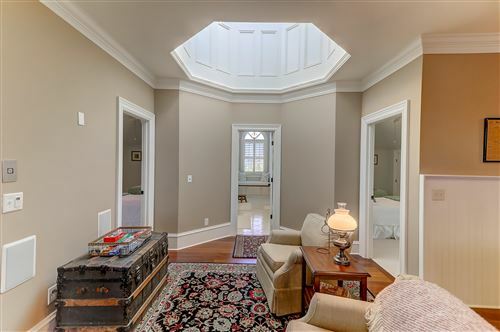 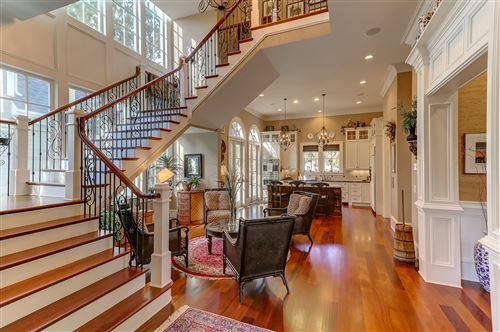 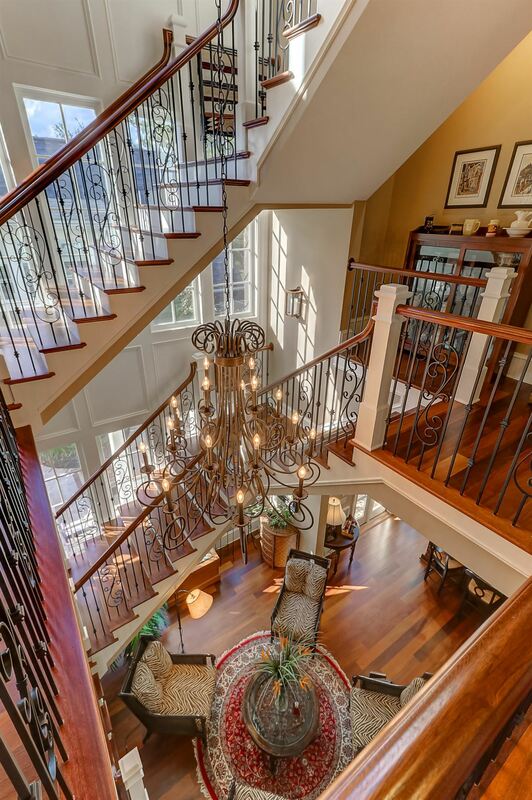 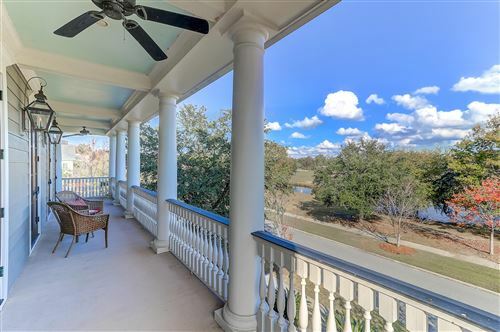 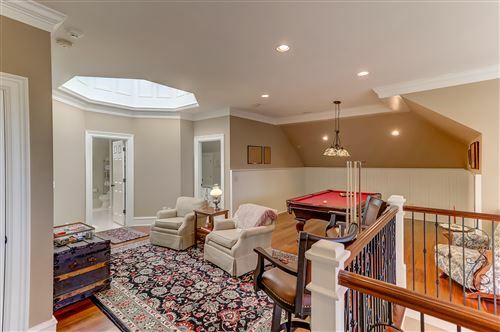 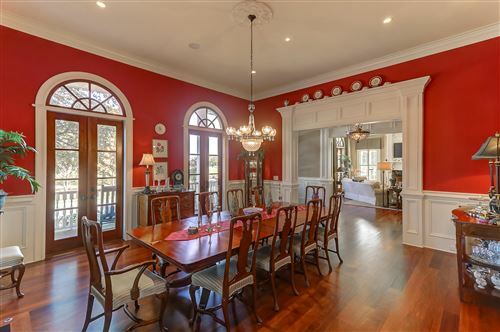 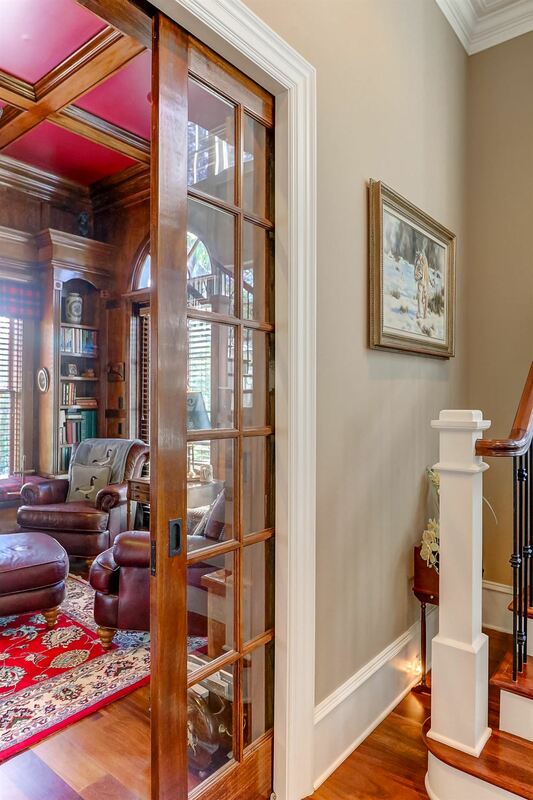 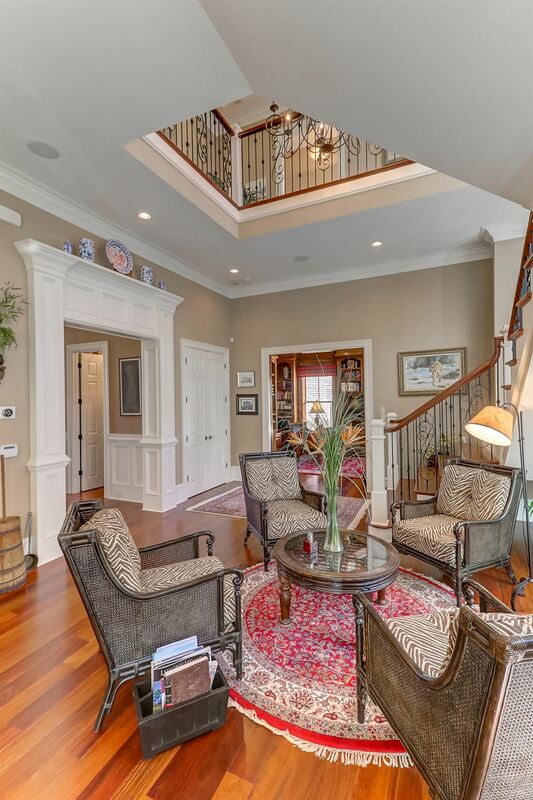 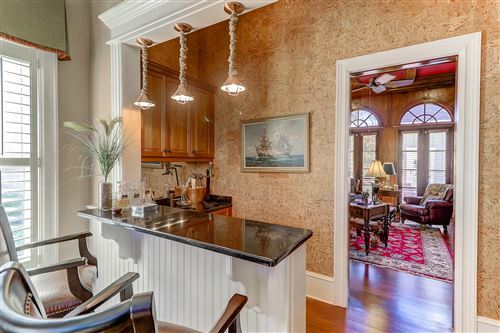 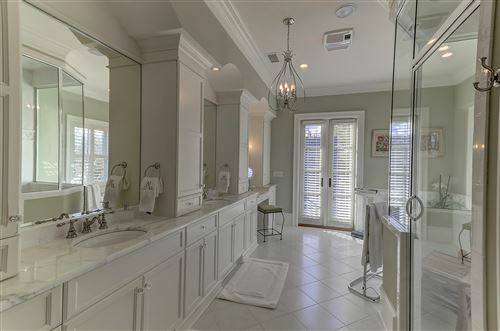 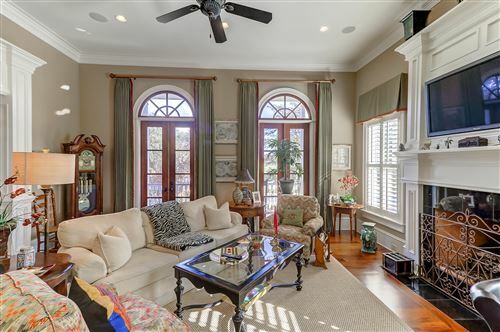 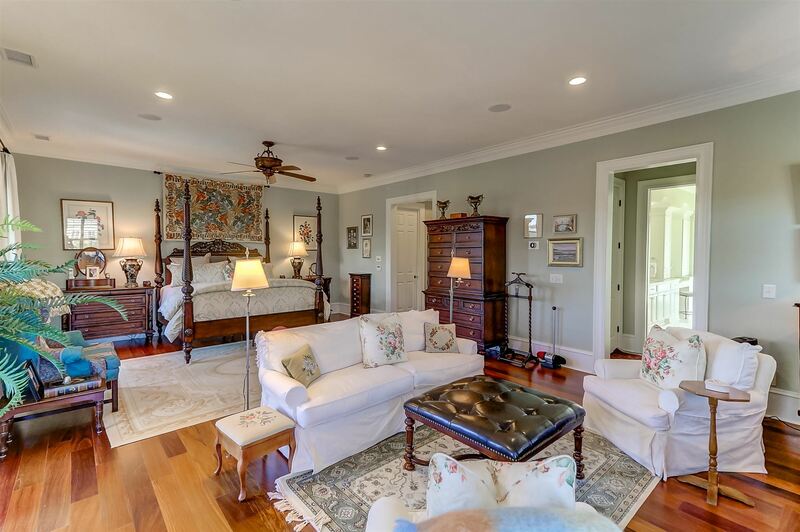 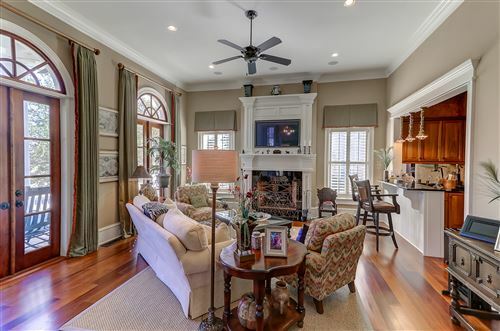 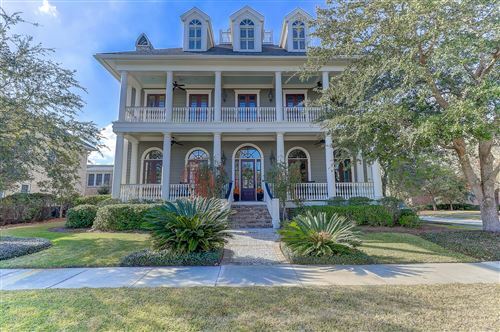 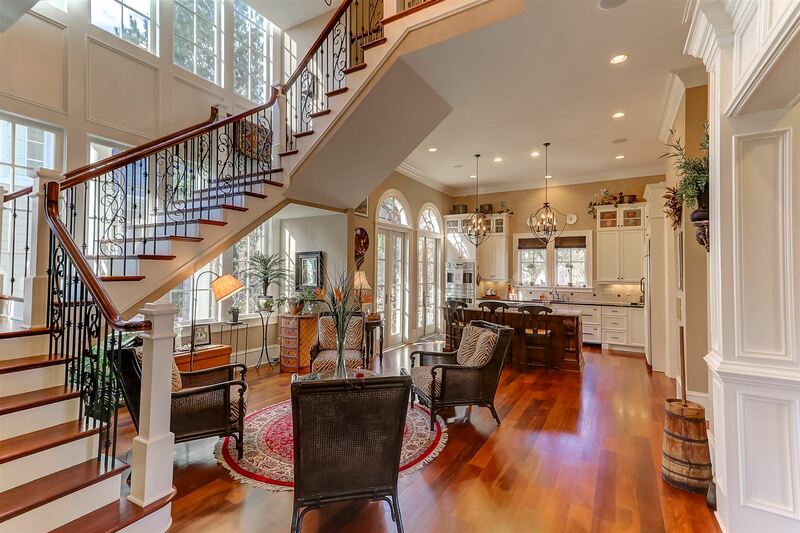 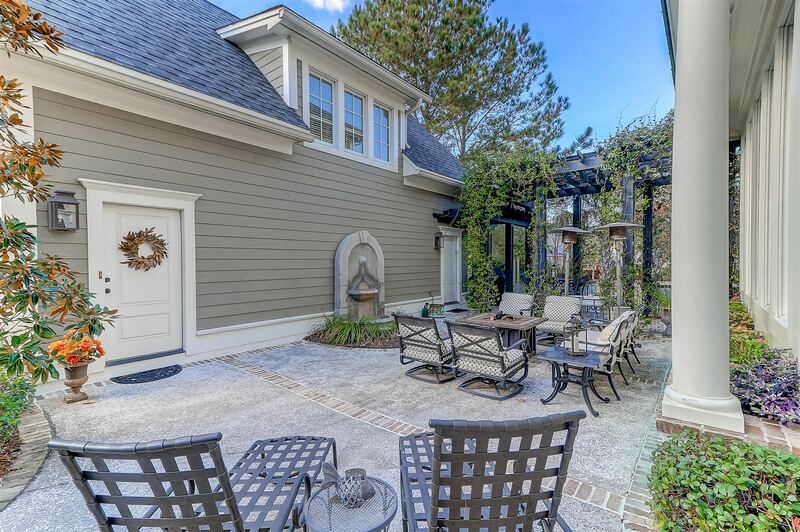 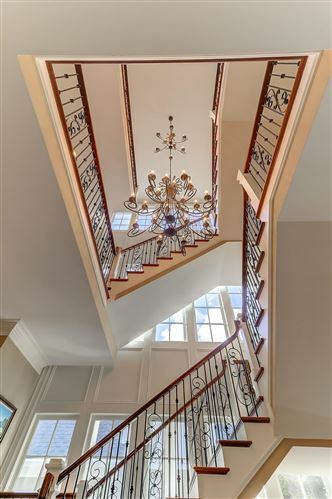 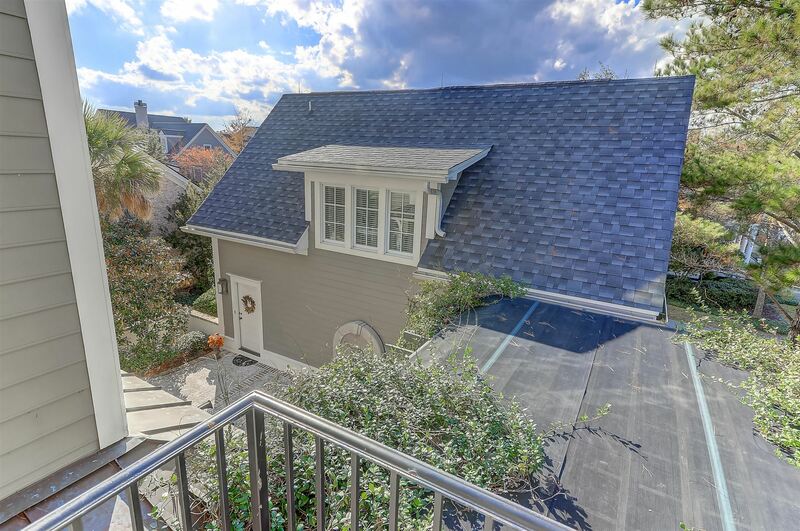 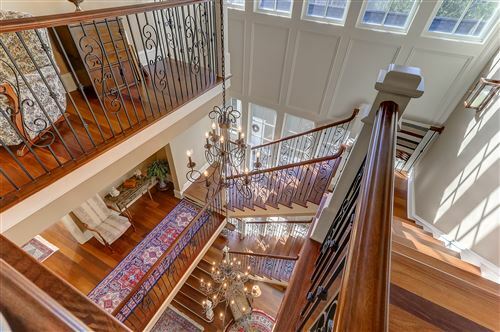 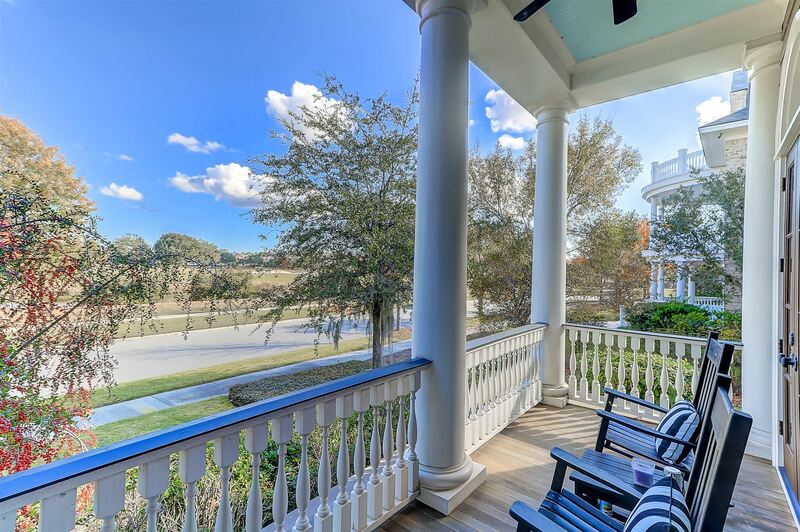 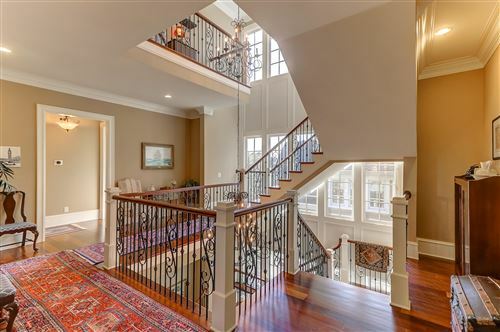 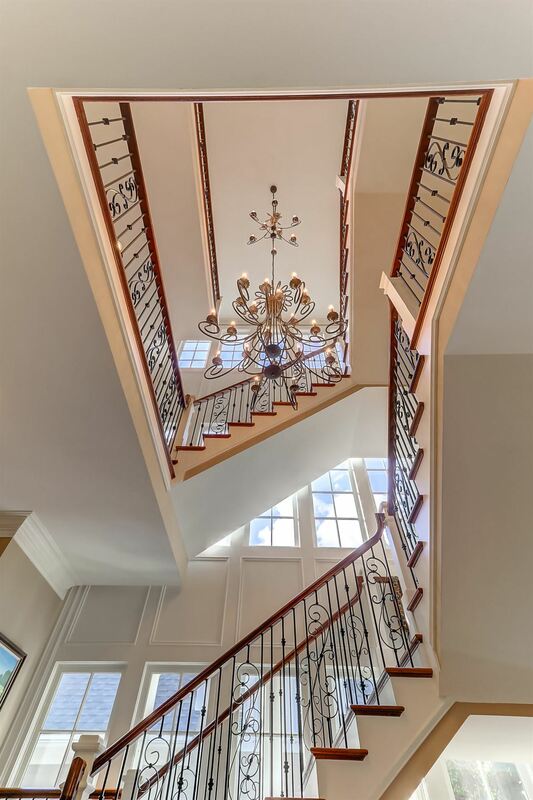 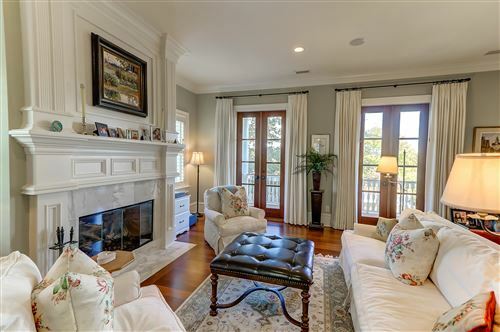 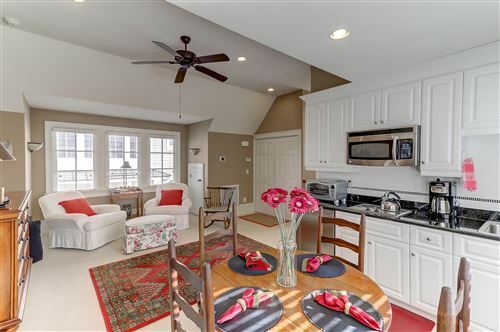 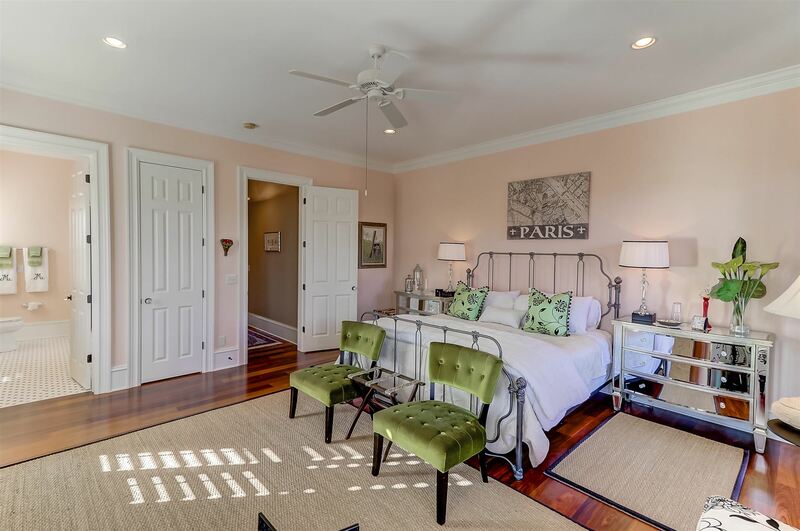 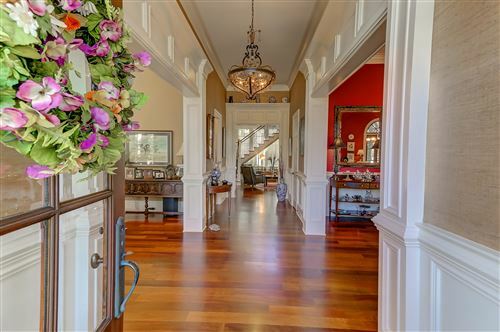 This home has also been the featured venue for numerous Charleston Symphony events.Such a breeze to entertain guests and family.Pristine brazilian chestnut hardwood floors welcome you as you enter the grand foyer. On the left you will find the sitting room or entertaining room where many social events have taken place. The custom built in bar can be used for parties where a professional bartender would feel quite at home with easy access to everything a grand party needs. 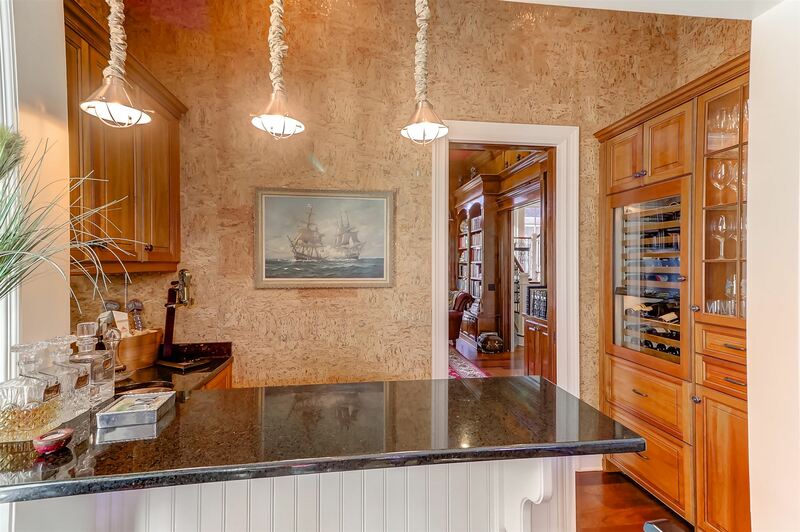 Beauty at it's best with the granite matching the kitchen, separate ice maker, hammered copper sink, wine cooler (78 bottle SUB ZERO wine storage, 2 refrigerator drawers, cork wall paper with copper accents. 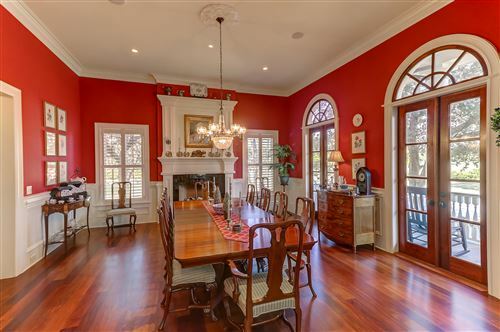 Separate spacious dining room with featuring one of the 3 custom fireplaces adjoining the kitchen via the butler's pantry. 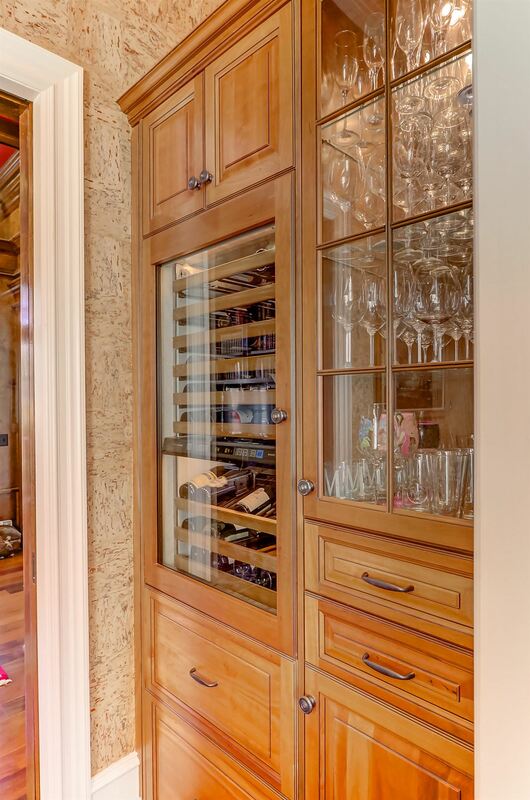 The butlers pantry includes a very large walk in pantry, 1 Fisher Paykel dishwasher drawers and so mch more. 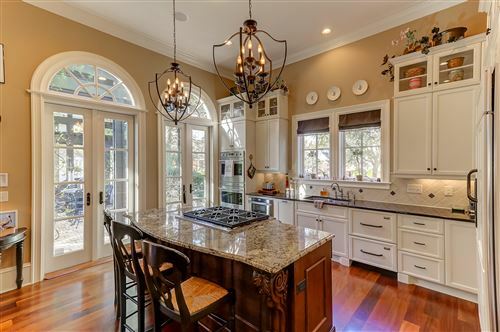 The 6 burner gas cook top, double oven and convection are a part of this gourmet kitchen. Looking for that special custom office? 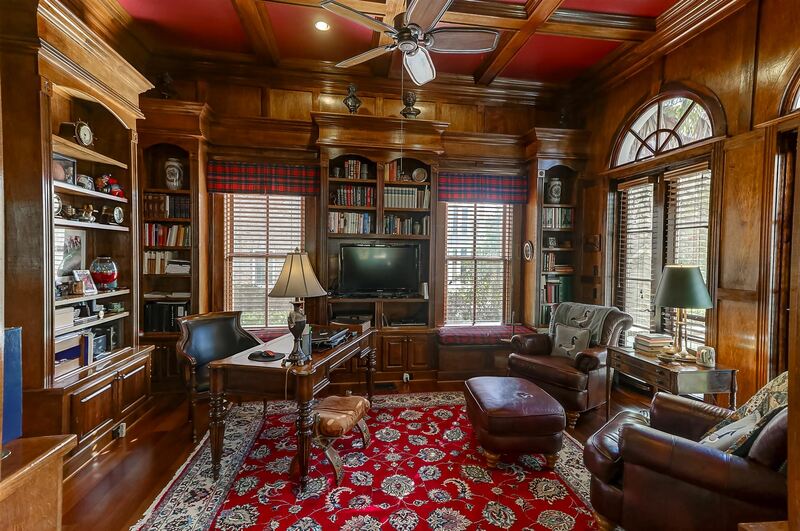 This is the home with the true custom office. 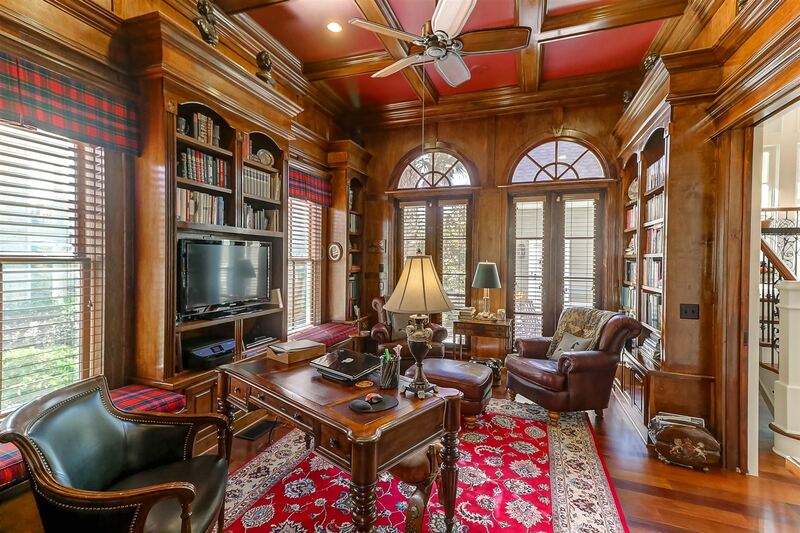 Cypress walls, book cases, french door pocket sliding glass, window seats, filing storage under the window seat with separate ventilation system in the study. This home has so many custom features you can see immediately as you walk in but it also has many many that you won't see but knowing you have them, will bring extra peace of mind. 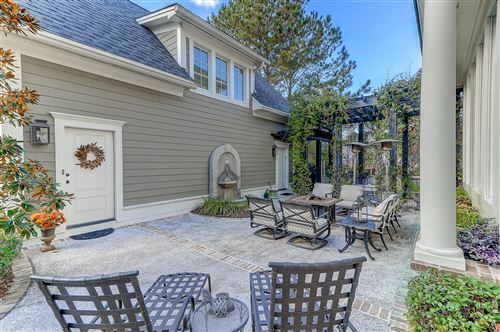 Just to name of few of the "hidden jewels", you will find an encapsulated crawl space, lightning rods, nest thermostats, 2 gas rennai water heaters, irrigation system, central vac with 4 sets of hoses, security system, remove the fireplace inserts and all 3 gas fireplaces can be wood burning as well. Take the elevator to floor 2 for the master bedroom and it's fabulous views of the golf course from the upper piazza. 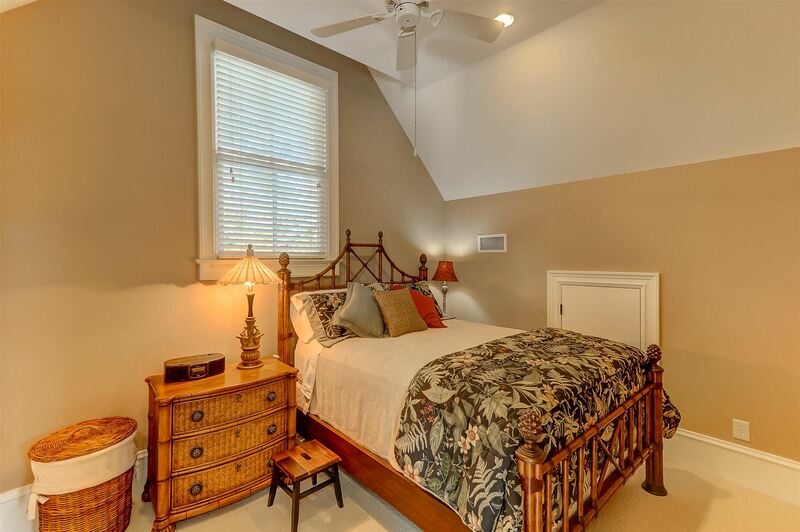 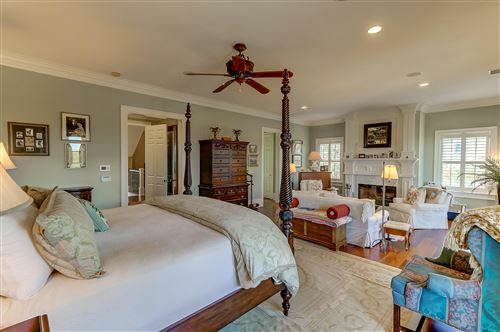 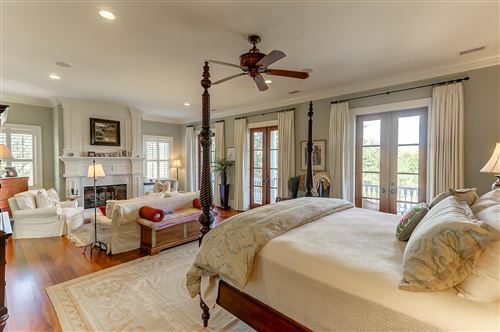 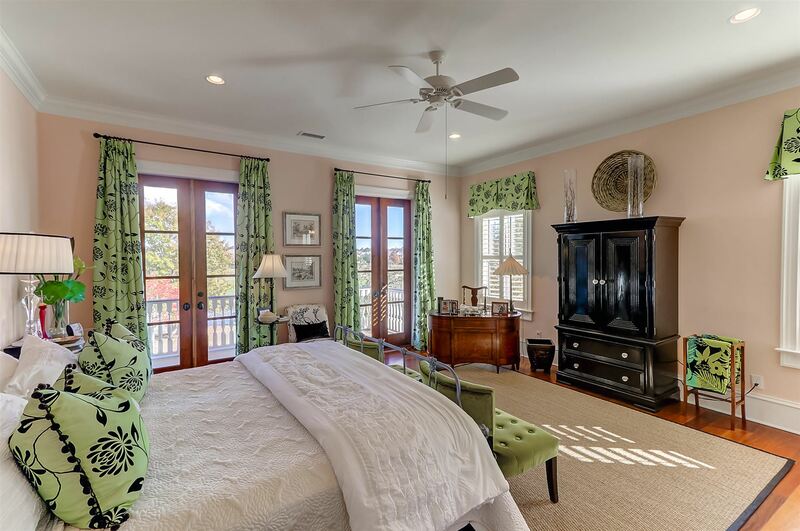 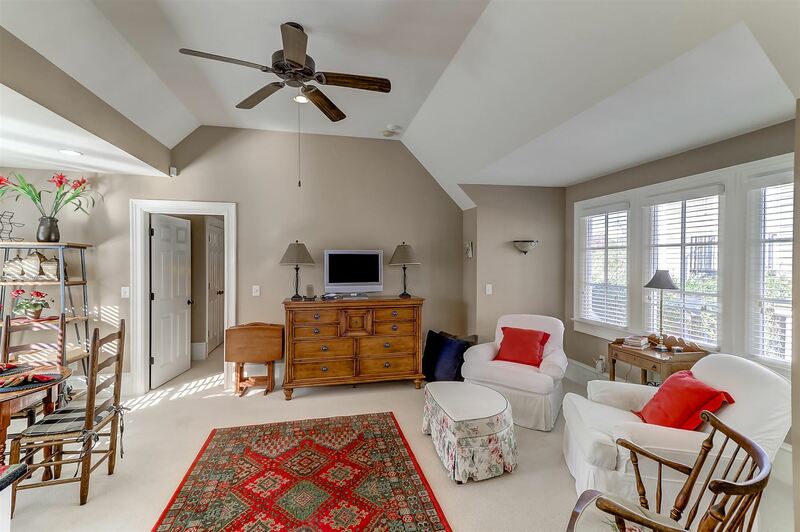 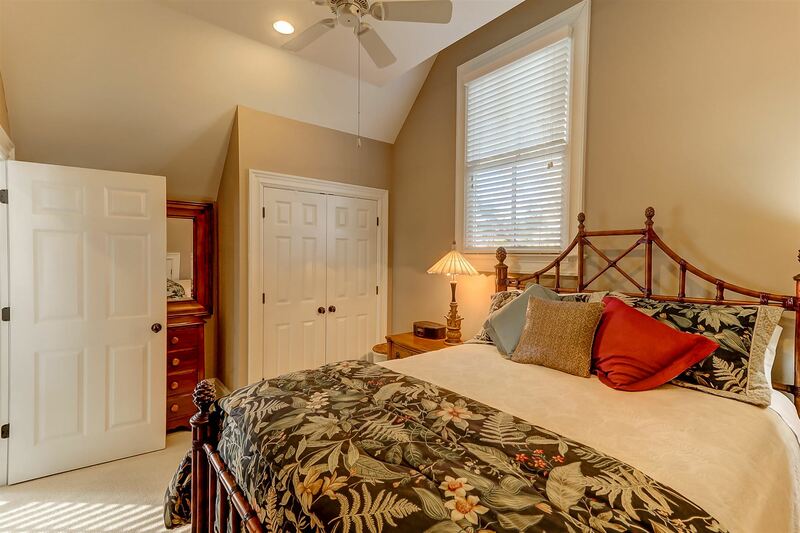 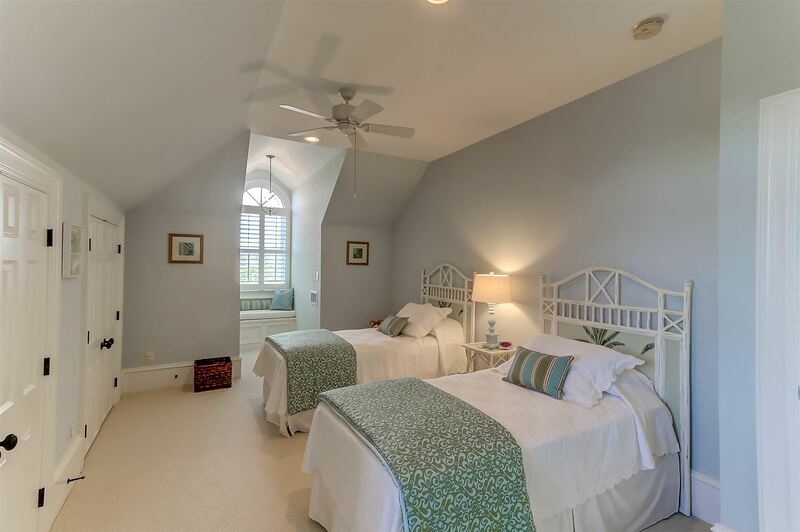 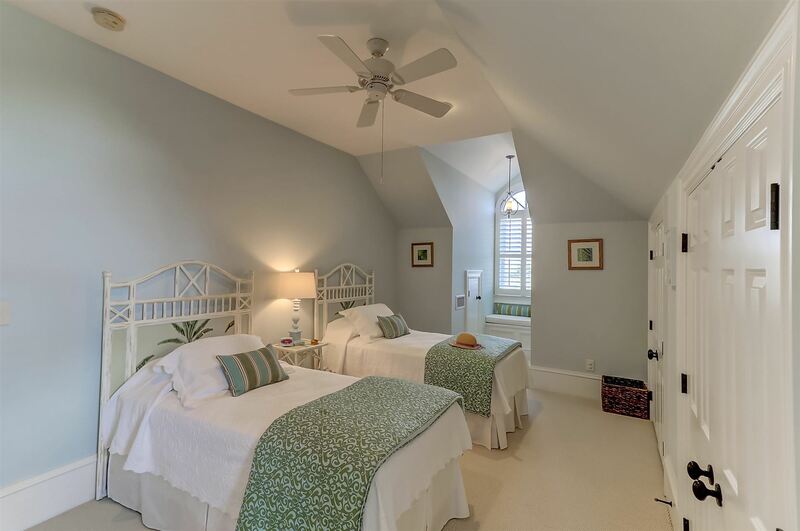 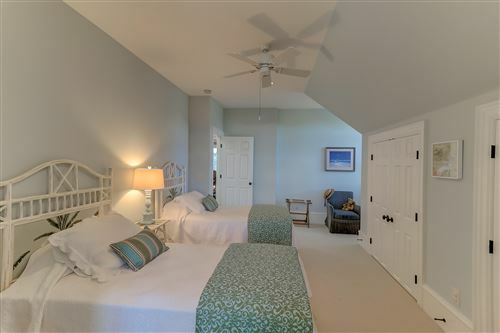 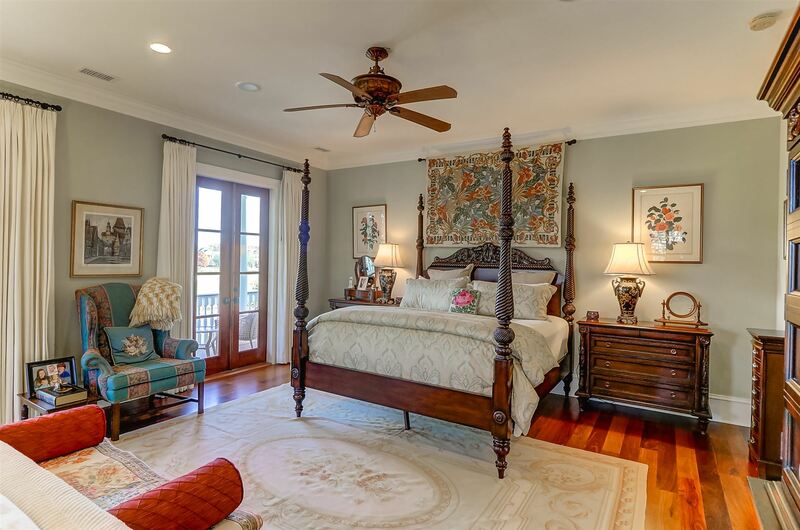 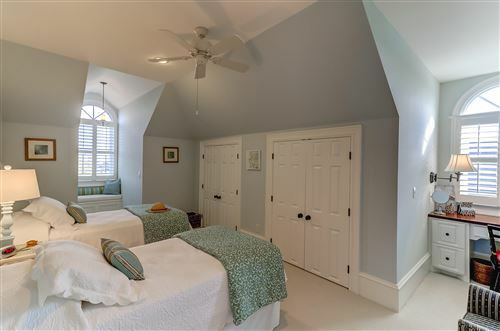 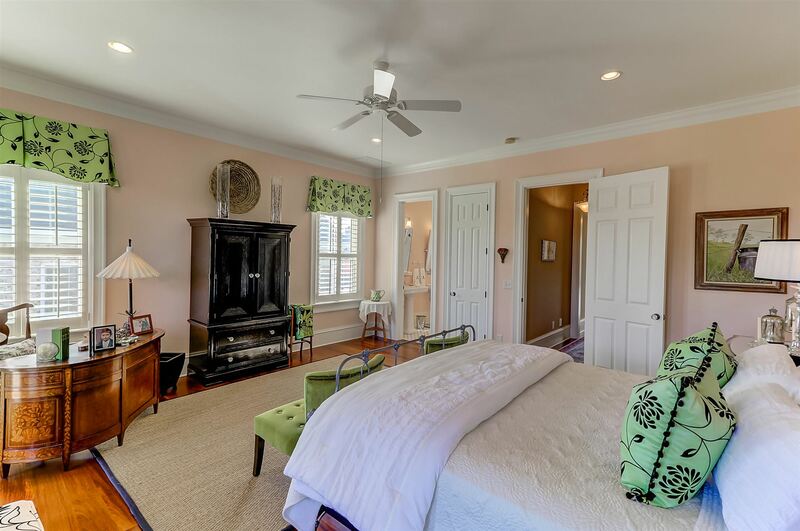 This grande master bedroom offers a sitting area, fireplace and exquisite master bath. 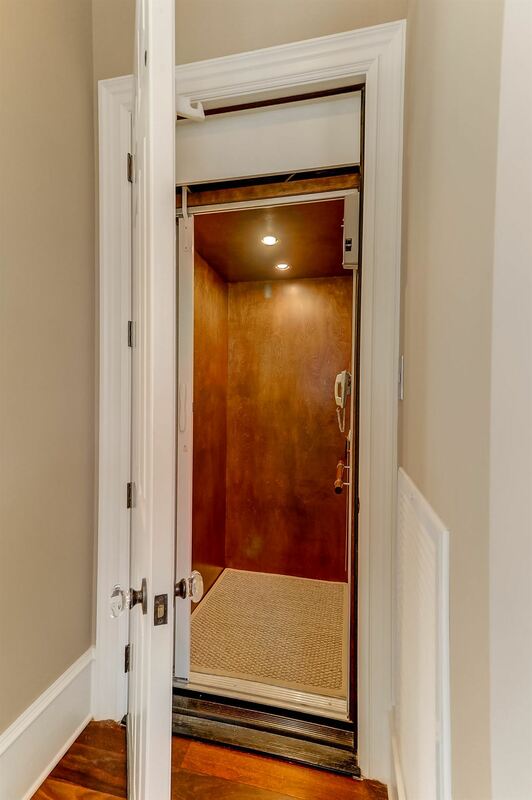 No shortage of closets as there are 3 walk in closets with custom built ins to include drawers. 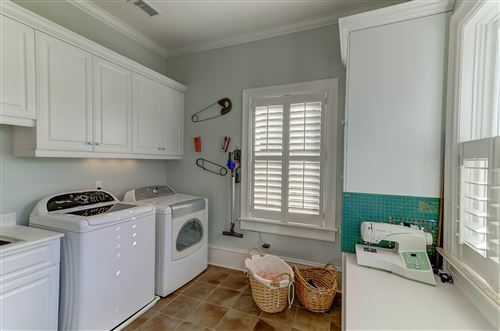 Conveniently located near the master bedroom you will find the laundry room with cabinets, utility sink, work station for folding clothes or sewing. 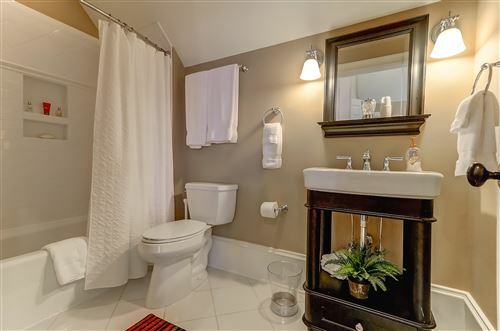 Large second bedroom with large walk in closet and full bath. 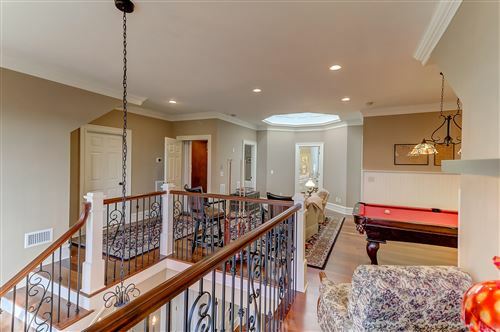 Take the elevator to the 3rd floor and as you exit onto the loft area you will find the pool table media area shared by 2 separate nice sized bedrooms and a full bath. 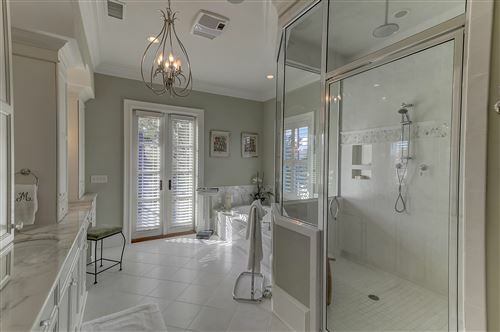 Another hidden jewel includes the ability to lower the high chandeliers for cleaning purposes. 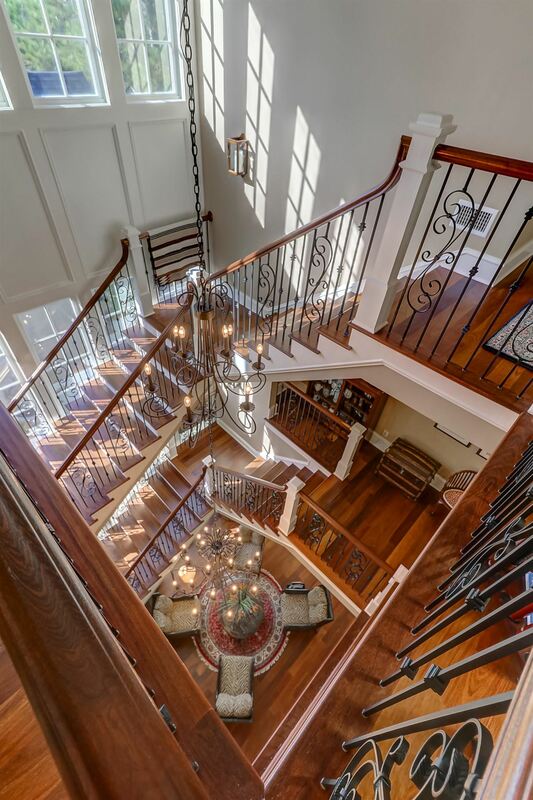 Another detail to know is that the elevator stops on all 3 floors! 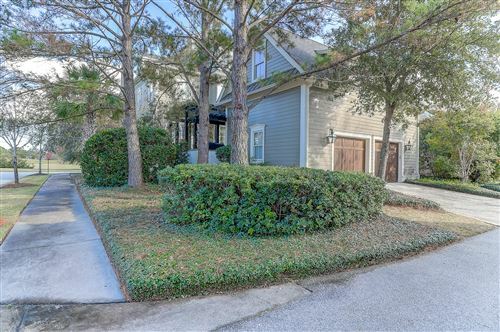 Must see this home to fully appreciate the abundance of quality found through out.Outside the backyard courtyard is perfect for sunning and enjoying the peace and quiet of your surroundings. A short distance to the detached 2 car garage. 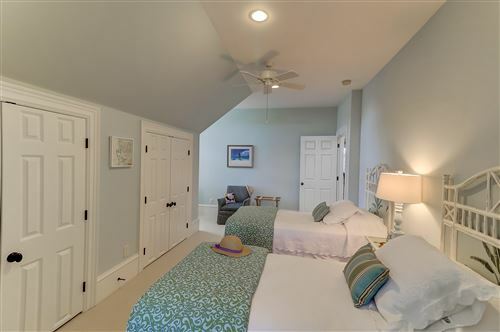 Upstairs above the garage is a full apartment with a separate bedroom with a closet, combo living room and mini gourmet kitchen with ice maker and mini fridge. 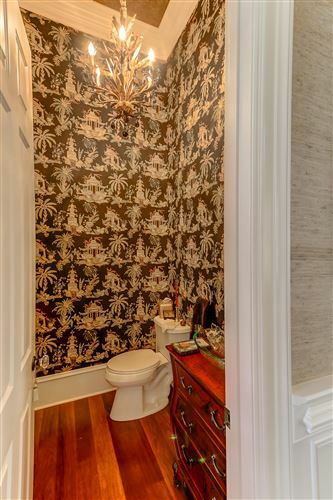 Dont forget it even has a laundry closet. 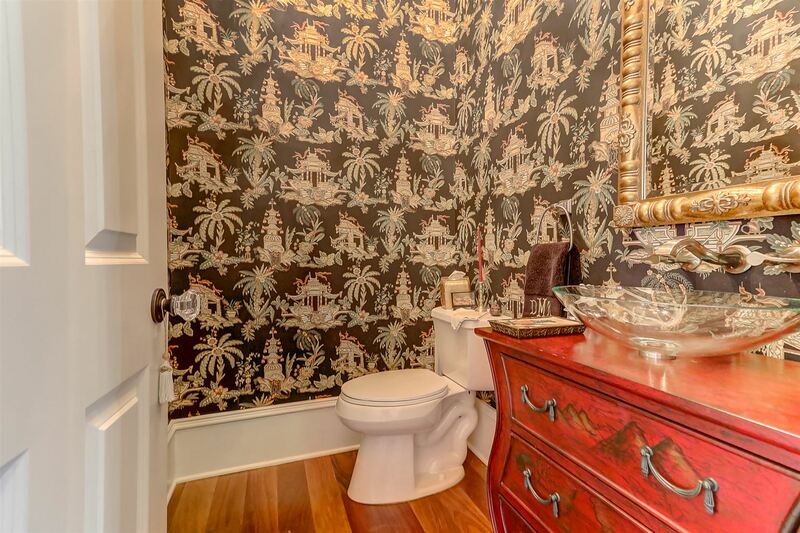 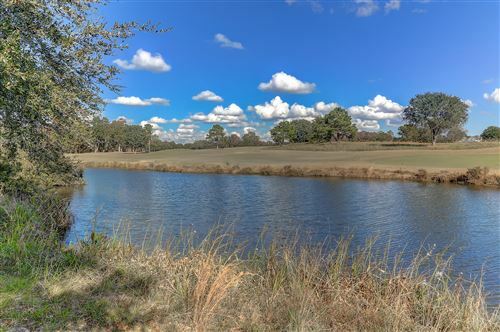 This home comes with a Daniel Island social membership. 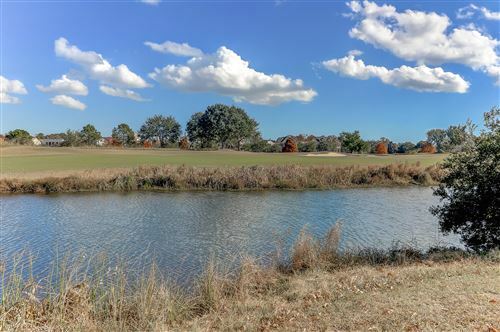 Please contact the Daniel Island Club for detals on how to purchase a sports membership or golf membership not attached to the home.Please confirm any details deemed important in the decision making process. 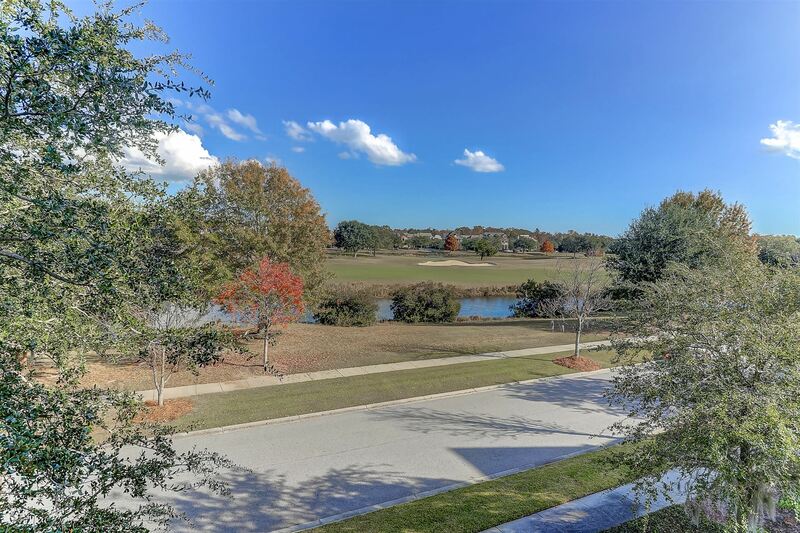 $7,620 would be your approximate monthly principal and interest payment. This payment is based on a 30-year loan at a fixed rate of 4.12 % with a down payment of $174,800. Actual lender interest rates and loan programs may vary.